Photodynamic therapy holds promise for cancer treatment and more, but it has yet to make a strong move into the clinic. Photodynamic therapy is not exactly new, but it’s still working on getting its foot in the door – the door of the clinic, that is. Still mainly in the research stages, PDT technologies and techniques have applications in treatment of cancer and other diseases. But the market hasn’t exploded just yet, insiders say. A close-up of surgeons’ hands in an operating room as they perform a treatment using photodynamic therapy technology. Images courtesy of National Cancer Institute/John Crawford. Pioneer Optics, based in Bloomfield, Conn., has manufactured cylindrical diffuser fibers for PDT for more than 20 years. The company’s fibers have been distributed by QLT (Quadralogic Technologies), Axcan and Wilson Cook Medical as well as Diomed, AngioDynamics and now Pinnacle Biologics. Pioneer Optics also makes various custom, non-FDA-approved diffusers fibers – including microlens diffusers that project a uniform-intensity circular output spot to treat head and neck cancers – that are sold directly to research doctors. 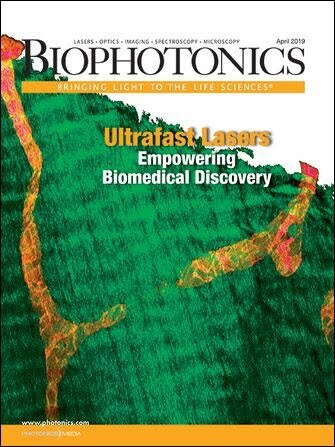 To look more closely at PDT’s market potential, BioPhotonics also spoke with Joan Davies, president/project manager at Fibersense & Signals Inc. in San Jose, Calif., and with Kathleen Deardorff, chief operating officer at Photocure in Oslo, Norway (the company also has offices in Princeton, N.J.). Fibersense designs and fabricates multiport PDT delivery devices whereby light from one source is divided into multiple outputs (equally or in specified ratios) for PDT delivery to multiple treatment sites simultaneously or to a larger single site for comprehensive, multiaspect treatment; it also offers fiber-based PDT delivery via multiple inputs, allowing for a choice of individual wavelengths via single or multiple outputs. The company’s multispectral Integrator PDT delivery devices integrate selected multiple wavelengths onto a single delivery fiber for specific therapeutic objectives; its high-efficiency fiber-coupled PDT sources enable coupling of LED and laser diodes of all wavelengths (from UV through visible to IR) to multimode fibers; and its high-power combined fiber-coupled PDT sources provide higher power than can be supplied by a single source by using multiple sources of the same wavelength combined onto one fiber. “[We] realized very early on the potential for these versatile devices in terms of advanced PDT and targeted laser delivery,” Davies said. Photocure’s marketed product, Hexvix/Cysview, is the first approved drug-device combination procedure for improved detection of bladder cancer, the first product in a new diagnostic class known as photodynamic diagnostic agents, Deardorff said. The company is commercializing it in the US and the Nordic region; Ipsen is commercializing it elsewhere (the brand name is Cysview in the US and Hexvix in the rest of the world). Photocure’s products in the pipeline target high unmet medical needs, according to Deardorff, and include the following: Cevira, for the treatment of HPV and precancerous lesions of the cervix; Visonac, for the treatment of moderate to severe acne; and Lumacan, which is partnered with Salix, for the detection of colorectal cancer. Q: What do you see as the “next big thing” in PDT in general? Davies: From our perspective and experience, we are excited by the prospect of wearable devices whereby PDT can be delivered in low doses over an extended period of time via a very compact fiber optic delivery system and a miniaturized battery operated source. Fibersense has made substantial contributions to preclinical trials in this area. Deardorff: Full integration of drug plus delivery device is key and obviates the previous commercial barriers for health-care professionals needing to buy separate equipment. Our product Cevira is the first fully integrated drug device in PDT, integrating drug and light into a small, compact, convenient single-use device for ease of use by the gynecologist in the office setting. Q: How would you say the market has been in the past few years for PDT technology? Davies: Fibersense designs and custom-fabricates PDT devices for the niche market of experimental/preclinical research for clients in government institutions, hospitals and university laboratories. We are not aware of any efforts towards large-scale commercialization of PDT products or technology. Deardorff: Over the past few years, Photocure has been extremely successful, as demonstrated by our strong track record in developing and launching PDT products. We initiated the commercialization of our lead product, Cysview, directly in the US market in January 2012, and we continue to market and sell Hexvix in the Nordic region. Photocure has a strategic partnership with Ipsen, which has rights to commercialize Hexvix in the rest of the world. Additionally, the significance of PDT therapy was recognized when Photocure’s first PDT product, Metvix cream and the Aktilite light source, was first approved in EU in 2001, and successfully launched by Galderma in 2003 internationally. Metvix is a topical cream that is applied on the skin for three hours, then exposed to uniform red light to destroy precancerous skin lesions. Laser light travels along fiber optics for photodynamic therapy in an operating room. The patient has been given a photosensitive drug containing cancer-killing substances that are absorbed by cancer cells. During the surgery, the light beam is positioned at the tumor site so it can activate the drug and kill the cancer cells. Q: Where do you think the market is going? Davies: PDT has enormous significance for the minimally invasive treatment of, for example, many forms of cancer. While PDT has been confined to the laboratory and to preclinical trials, we are confident that, in the long term, PDT will become much more widely accessible and enter into the mainstream of oncology treatments. Deardorff: There is currently a wide applicability in PDT within key therapeutic areas such as dermatology and cancer – where we focus. In cancer in particular, there is a high need for noninvasive treatment options, and our aim is to improve patient care and quality of life by making solutions based on Photocure Technology accessible to patients and consumers worldwide. Human papilloma virus (HPV) and precancerous cervical lesions (dysplasia) are both highly prevalent diseases affecting an estimated 260 million women worldwide. There are currently no medical therapeutic treatment options available, so Cevira has the potential to be a great alternative to protracted surveillance and invasive surgery. Colorectal cancer is the third most commonly diagnosed and second most deadly cancer worldwide (500,000 new cases each year in the US and EU). Lumacan increases detection rate for colorectal cancer, as an adjunct to white light colonoscopy. Bladder cancer is the fifth most common type of cancer in the US and is notoriously difficult to detect. Our marketed product Hexvix/Cysview is a blue-light cystoscope designed to induce fluorescence selectively in the malignant cells in the bladder during a cystoscopic procedure, enabling the urologist to detect nonmuscle-invasive bladder cancer, as an adjunct to white light cystoscopy. Q: What are the biggest challenges to new advances in PDT? Davies: It appears to us that institutional and medical research/researchers are often not sufficiently aware of the capability of optical fiber-based PDT delivery devices/systems and, as a result, are not sufficiently exploring and exploiting the full potential of this medium. Deardorff: Overcoming the need to buy separate light equipment is one challenge. Our marketed product Hexvix/Cysview is designed as an adjunct to white light cystoscopy. Photocure is dedicated to ensuring the highest level of service, and consistent functionality for the existing installed base, and in order to alleviate these challenges, we have collaborated with the blue-light cystoscope supplier Karl Storz in the US to expand the installed base of blue-light cystoscopes as well as trained cross-departmental hospital staff on the procedure. Deardorff: There is an incredibly high unmet medical need in areas where PDT has successes, such as women’s health, cancer and acne. Cervical HPV infection is highly prevalent and growing, and 80 percent of all women have HPV infections during their lifetime. Cervical HPV infection may lead to cervical cancer without intervention, and there is a high need for novel therapeutic treatment options in this patient population as an alternative to invasive surgery. Acne is the single most common skin disease worldwide, and affects up to 85 percent of all 12- to 24-year-olds, and our product Visonac is being developed as the first photodynamic therapeutic option for this large patient population which can easily and conveniently be administered in dermatology offices. Hille: Trials of PDT use in the treatment of cholangiocarcinoma are the most exciting thing on the horizon. However, the approval process will take years.